Captive rehabilitation is often promoted as a good deed with the animals' wellbeing in mind and a way of saving stranded dolphins so that they can be released back into the wild. Unfortunately that is not the whole story. Many dolphins never leave captivity once they have been "rescued" due to the low success rate of captive rehabilitation. Marine mammals such as dolphins simply aren't made for life behind bars. 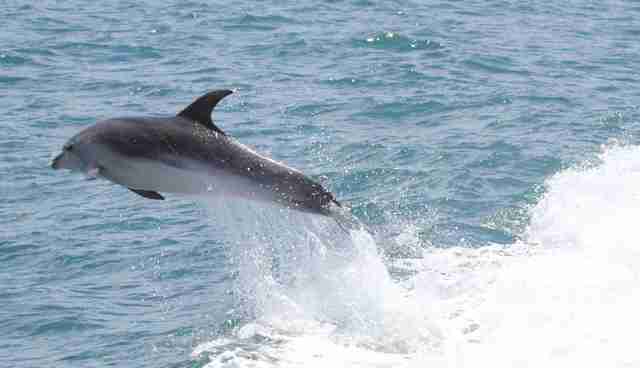 On a normal day, wild dolphins swim more than 40 miles in the ocean whilst exploring their surroundings, it's in their nature. Captive dolphins, on the other hand, are forced to swim in circles within a tiny area, trapped behind bars. So no wonder captive rehabilitation has so little success. Life behind bars is difficult for intelligent beings such as bottlenose dolphins and once they have been treated for whatever condition they suffered from, new problems often arise as a result of being away from their natural surroundings. Furthermore, money is an important factor when it comes to captive rehabilitation. Many rehabilitation centers often cater visitors so that people can pay to see the dolphins just like any other zoo. This often contributes to the dolphins spending a lot of time seeking attention above water as a result of their confinement. 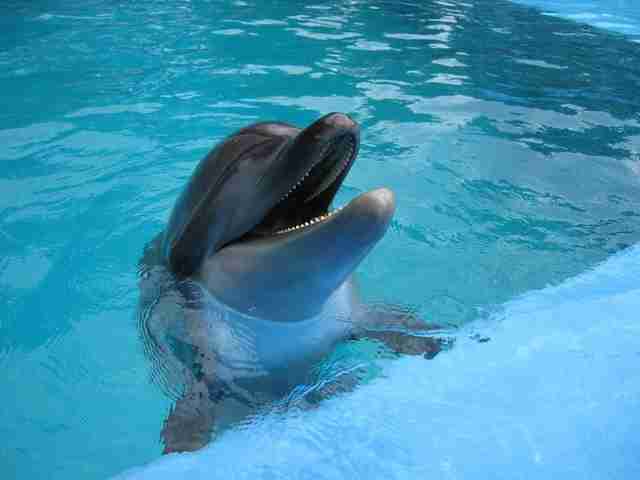 But it's highly unnatural for dolphins that usually spend 80 percent of their time being under the water. But how do the dolphins get there in the first place? The road to captivity often begins with a stranding. If a dolphin is stranded it will cause it physical and emotional pain and captive rehabilitation is often used as a solution. While it might be well intended, many of these facilities only worsen the state of the dolphins sometimes causing them to stay in captivity for the rest of their lives. Being held captive causes emotional distress which can slow down the healing process dramatically. Another issue is that captive rehabilitation facilities often cater visitors, which is bad for the dolphins; Whale and Dolphin Conservation (WDC) is highly against this type of rehabilitation and refers to the low success rate and the amount of stress involved for the marine mammals. In California the success rate has only been 7.3 percent over the past 25 years suggesting a fault in the rehabilitation method. 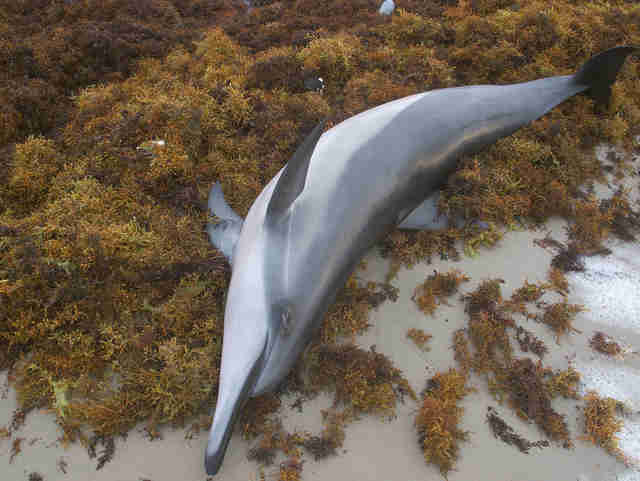 Many dolphins never make it back to the wild and those that do often die in the process. 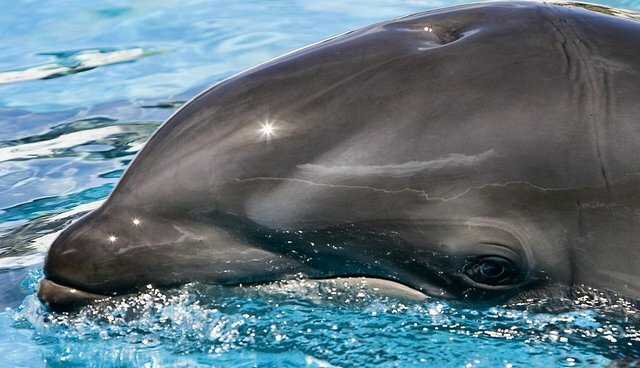 They believe that stranded dolphins can be an excuse for people in the captivity industry to take wild animals into captivity while maintaining a reputation of being ethical. But is it all that bad? What about the success stories? In Korea three dolphins were successfully released into the wild where they still live today. Earth Island Institute's Dolphin Project transferred the captive dolphins from aquarium tanks to a temporary sea pen in order to make them ready to go into the real ocean, an approach that has deemed successful. However, dolphins that have lived for long periods of time in captivity are still at risk. It can be hard to adjust to being back in the wild and some struggle with their new found freedom, but it's certainly not impossible. Fair enough, captive rehabilitation is bad news to dolphins, but the question still remains: How should we take care of stranded dolphins if we can't help them in captivity? Like the release of the Korean dolphins suggests, sea pens can prove to be useful. It gives the dolphins' time to adjust to being back in the sea and in time they are ready to leave life behind bars. However, SeaWorld and other captive facilities often claim that captive dolphins will struggle to survive in the wild after years in captivity, but this isn't true. As the release of the Korean dolphins clearly demonstrates, captive dolphins can easily be released into the wild if done properly, and this leads us back to the question of captive rehabilitation as the dolphins are not supposed to end up in captivity in the first place. Sea pens, sectioned off coves and bays, are a much better alternative as the dolphins can be kept in a natural environment making their release back into the wild a much easier task. So hopefully the future will be little brighter for the world's stranded dolphins. All it takes is a new approach. You can also help dolphins in the wild. Participate in our Greece Dolphin Conservation and learn more about the amazing marine mammals, or travel to Tenerife to get involved with the Dolphin and Whale Conservation project. Get more from us on social media with Facebook, Twitter, and Pinterest. See more from volunteers on YouTube, Flickr and Instagram#FrontierVolunteer.